In the RoboCup environment, it is difficult to learn cooperative behaviors, because it includes both real-world problems and multiagent problems. 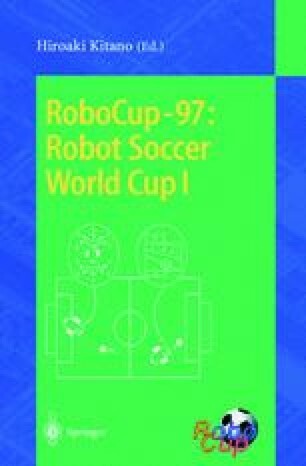 In this paper, we describe the concept and the architecture of our team at the RoboCup'97, and discuss how to make this agent learn cooperative behaviors in the RoboCup environment. We test the effectiveness using a case study of learning pass play in soccer.